There is a new update was deployed, so be ready to hit Ctrl+F5 again. Nice work Sergey!Except that u made 2 little programs that help nkpro community so much,they look nice and clean also! do you need anything else Sergey? Hi Sergey, for Magione the "view records" is not working, it shows No records, and definitely there are records for magione. Sorry for a long reply. I've added Magione to nKPservers database - track record link should appear now. 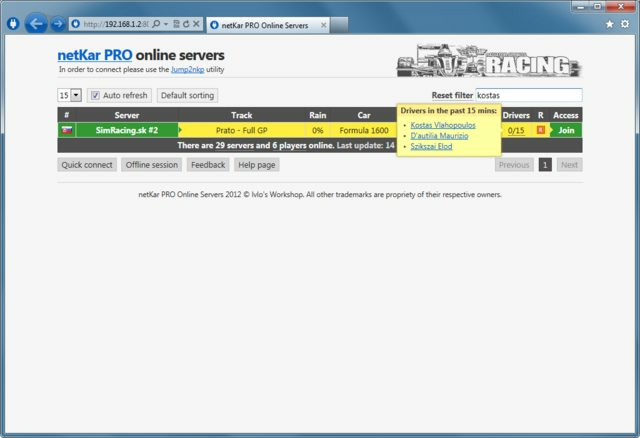 Thx for Online Server List. GO GO GO netKar PRO! 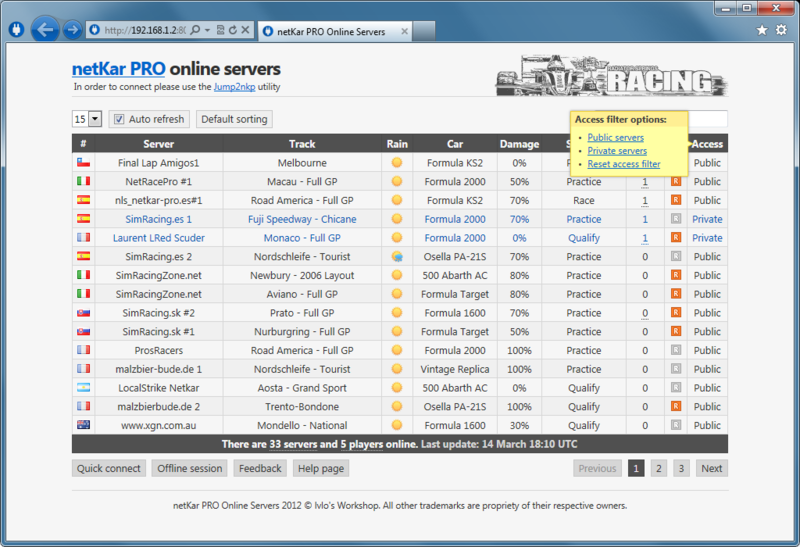 Laguna Seca + Osella @ MaksNet & SERT server. What is wrong with the server list? It shows the same servers for a few days. The last update was on 24th of August 2013. The service was down. Fixed. Thanks for the reminder. Server website is again corrupted. There is something wrong with it. Its like html is causing issues. Sorry for the late reply. Looks all fine to me right now. Which problem do you get? Server list is not refreshing, is the server down again? Btw, why there are only a few servers there? A few days back and more there were plenty of them!